From the time he studied at the École des Arts Décoratifs and the École des Beaux-Arts, alongside Matisse and Camoin, Marquet escaped to the living theatre of the streets of Paris. Sketching outdoors, he revealed a genuine talent for capturing a silhouette or posture in a few quick strokes. The Sinuous Woman from the Senn collection, along with The Handcart at the Musée des Beaux-Arts in Bordeaux, are the most successful examples of Marquet's Synthetism. 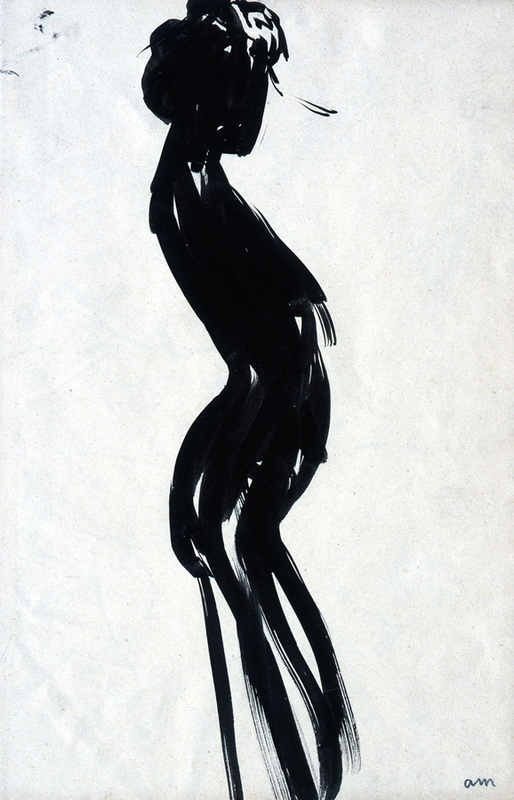 The body of this female silhouette, done like a single black wave, is taken to a degree of abstraction seldom matched in his production of drawings. Playing on the thickness of strokes, on the marked contrast between the black of the ink and the white of the paper, Marquet makes himself the creator of a contemporary calligraphy. This simplification of form is not unlike Japanese printmaking. When, in 1943, George Besson asked Matisse to qualify Marquet's drawing, he declared: "When I see Hokusai, I think of our Marquet—and vice-versa—I do not mean imitation of Hokusai, but similarity." Marquet uses these furtive silhouettes in his landscape paintings and especially his views of the quays of Paris, populating them with a crowd of little characters simplified to the extreme. The back of this page can be considered a study. The face of the Woman's Head in Profile brings to mind Marquet's illustrations for Charles-Louis Philippe's Bubu de Montparnasse. 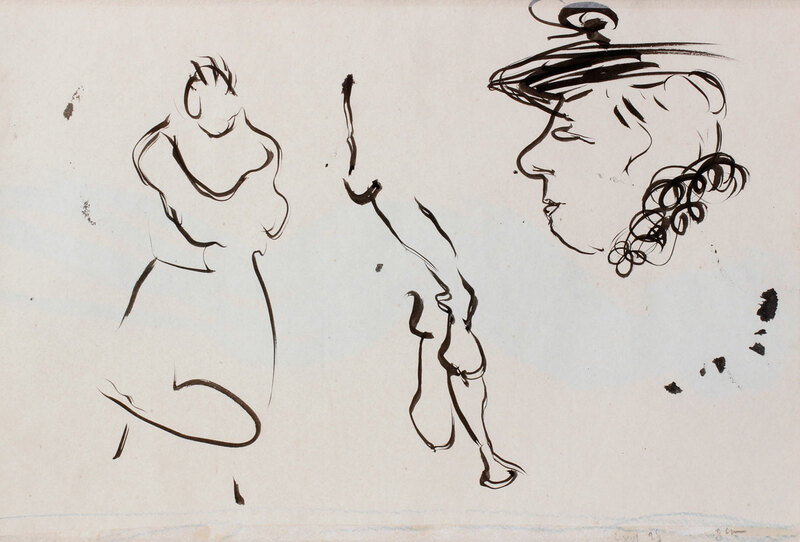 The woman's pompom beret is comparable to one Berthe's grandmother is wearing in the drawing by Marquet, which was reproduced in the 1985 edition.